July 2018 | Building Performance Institute, Inc.
At the HPC National Conference in April 2018 in Philadelphia, industry leader and OmStout Consulting President, Mike Rogers (@MikePRogers), made a passionate call for more women in home performance. He pointed out that companies in this industry are always struggling to find qualified workers. But, how many of you and your companies are actively recruiting from the other 50.5% of the population – women? Women make up slightly more than half the U.S. population, yet only 2.6% of the construction industry. Likely, there are even fewer women employed as contractors and auditors in home performance. One of the prime advantages of hiring women is that many other women are often the key decision makers in the household. Thus, having women as your installers and energy auditors will only help with your sales. Recruit women classmates from trainings and CEU courses at which you participate. Check your area for workforce development programs – especially those geared toward women. For example, in New York City, the Nontraditional Employment for Women (NEW) trains and places women to serve in the construction, trades, and utility industries. Support Women in Building Performance, which provides scholarships to the HPC National Home Performance Conference & Trade Shows. Please note: "Women in BP" on your check. Share your engagement story! What has worked for you to employ more women as contractors and energy auditors? Please email marketing@bpi.org to let us know. On a final note, Mike Rogers reminded us that we need to ensure all employees – especially women – are safe in their work environments. To watch some of the video of Mike's comments, click here. The application period is now open for the Quality Control Inspector (QCI) and Energy Auditor (EA) 2018 pilot exams. Participating Test Centers across the country will offer these pilot exams from August through the end of September 2018. It's officially Atlantic hurricane season, which means it's time to consider building your post-disaster skills. Consider taking the online-only Healthy Home Evaluator exam at a BPI Test Center offering the exam. Learn how to ensure that homes are dry, safe, and healthy environments for families after disaster strikes. Southeast Energy Solutions manufactures products that insulate and air seal the attic access areas of a home. Their products include the: Pull Down Ladder Jacket, Scuttle Hole Jacket, and Vertical Knee Wall Jacket. Southeast Energy Solutions has been in business since 2016 and has sold around 20,000 units of their 3 products. Can be used in all climate zones in the U.S. The ladder jacket is the answer for insulating and air sealing the attic pull down stairs. This product will dramatically lower the temperature at the pull down stairs by the reflective properties of the radiant barrier material. Also, installing insulation in the insulation pocket in the zippered top will allow you to bring the R-value to the same R-value as the rest of your attic. The insulation pocket will allow for up to a R-49 batt to be installed, and with the R-value being 4.5 per layer, this will produce an R-value of up to R-58. The jacket provides a great way to air seal and provide proper insulation in these areas. This product eliminates the need to weather strip a piece of sheet rock for air sealing, since the scuttle jacket does this for you. It also has the insulation chamber in the zippered top that allows for proper insulating of this area. This product solves the problem of a thermal break in your knee walls. 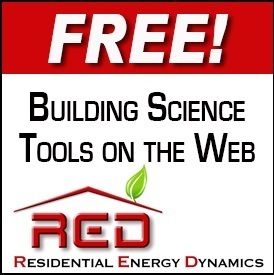 It allows you to insulate to the same R-value as the wall assembly. The radiant barrier reflects 97% of the radiant heat away from the knee wall door. This will eliminate the hot spot on your walls. We took a break from Stump the Chump last month to bring in some more submissions from the field. We're sure you have witnessed something strange, something that made you scratch your head, or a situation that took a few attempts to solve. 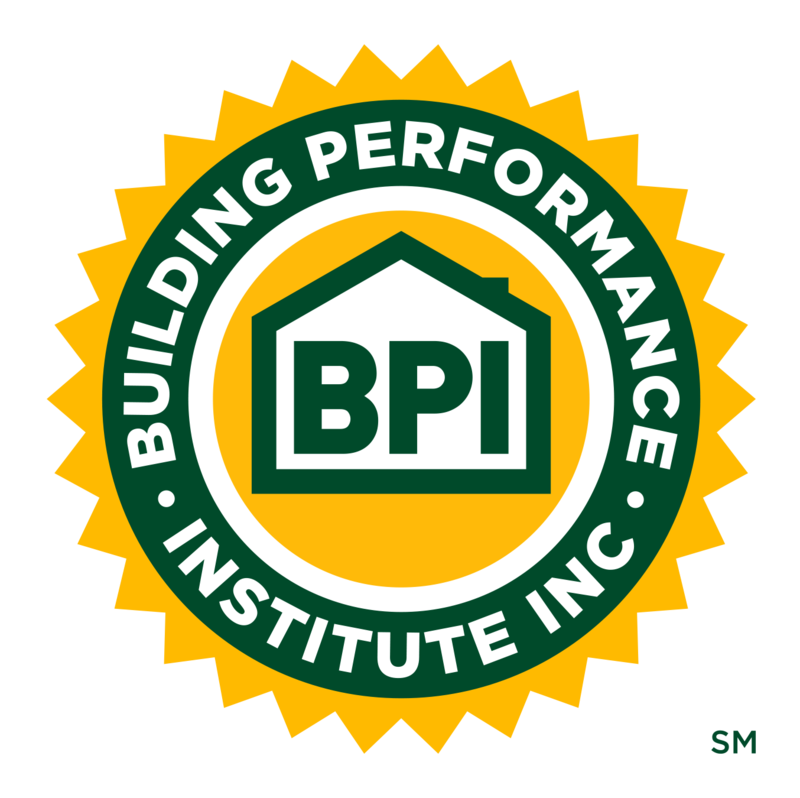 Earn the easiest 2 BPI CEUs ever by submitting your stumper to marketing@bpi.org. Can you solve July's stumper? This month's stumper comes from John Herring of CLEAResult in Westborough, MA. I have a friend who decided to simply stop cooking in winter. She lived alone in an old Victorian home and was in the habit of entertaining friends and family at holidays, special personal days, really good TV shows, etc. The problem now was, every time she cooked in winter, the first floor of the home became quite chilly. It was costing her a lot more in gas heating charges and was ruining her friendly visits. She had recently upgraded most kitchen appliances: New larger refrigerator, oven/range with vent hood, dishwasher, wall cabinets, and kitchen sink. Her first complaint to me was that her dishes were extremely cold that first winter. They had always gotten somewhat cool in winter, with the cabinets being attached to the wall, but she had insulation in every exterior wall and decent air sealing elsewhere, so it wasn't a big problem. After cooking one recent winter holiday meal for friends, her dinner plates actually chilled the meal, and everyone had to microwave their meals. Then a 2nd floor water pipe froze and burst in the center of the 1st floor ceiling. This was the first time this had happened in all her time there. So, was it a strange series of polar vortex events at holidays, a recurring phenomenon only recently noticed, or some other irremediable problem? Or was it an entirely fixable issue?